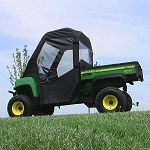 If you are looking for full and complete protection from the elements then this full cab enclosure is a great option for you. 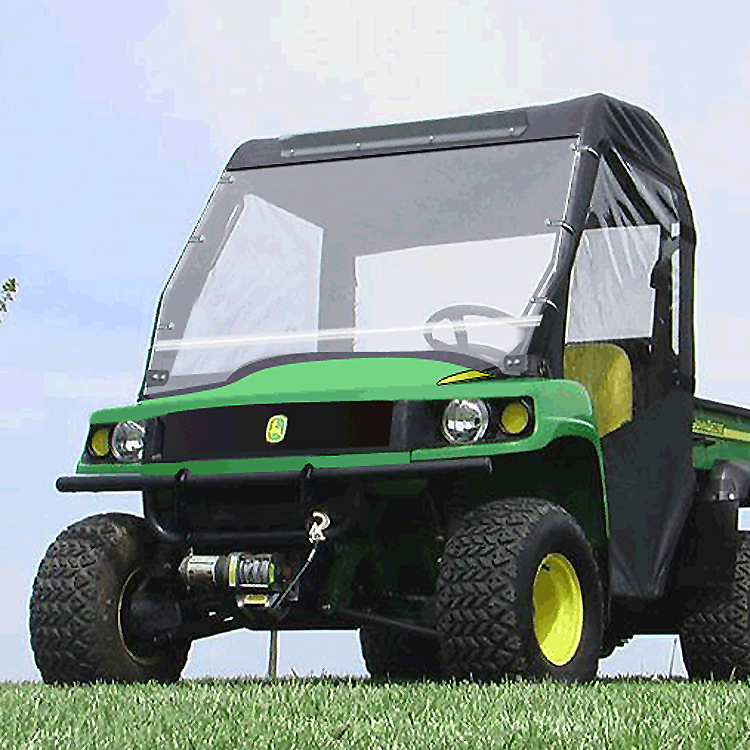 Our Full Cab Enclosure is handcrafted, & hand measured to ensure a precise fit on your John Deere Gator. 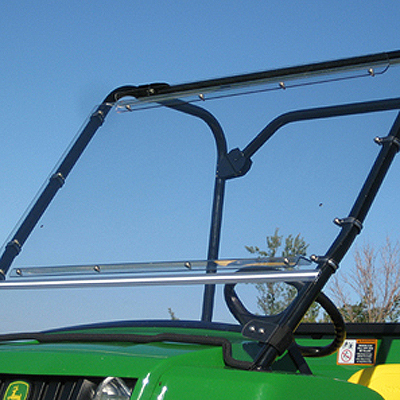 This product incorporates a roof, windshield, doors, and rear window! When nasty weather comes your way (anything from rain to wind to snow), this enclosure will provide complete shelter. Complete with self-adhesive Velcro, Installation & care instructions. Everything is included for hassle free installation. 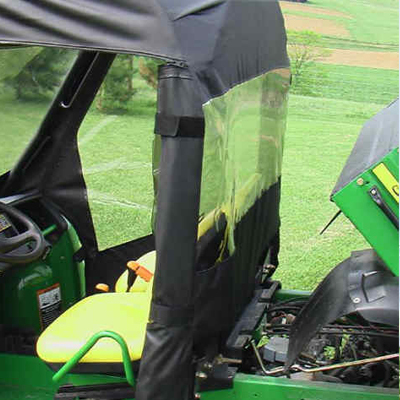 Full length folding Lexan polycarbonate windshield. Allows access to hood compartment. Constructed of professional grade marine textile. 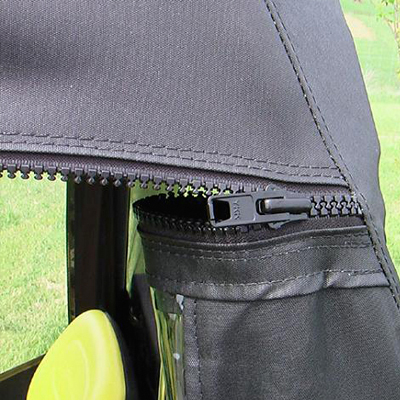 Waterproof, puncture resistant, tear resistant, and abrasion resistant. Doors, and window are constructed of durable Aquaview Vinyl. 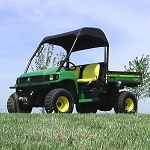 Doors roll away to provide for easy storage when not in use.